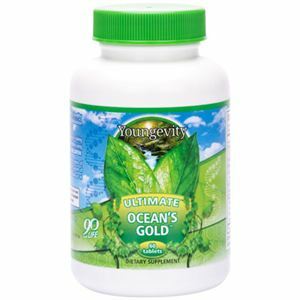 Ocean’s Gold - This product contains iodine, CoQ10, and a variety of seaweeds for thyroid support. Ocean’s Gold is best taken between meals – away from other calcium supplements. The recommended dose is 2-6 per day depending on the results needed. 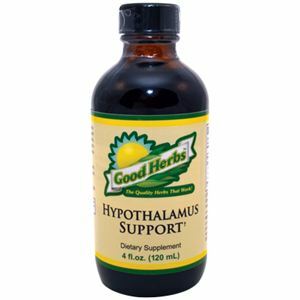 Good Herbs Hypothalamus Support contains 5 adaptogenic herbs. Because these herbs are adaptogenic, they support the body in balancing and supporting healthy thyroid function regardless of whether the thyroid is over-active or under-active. The hypothalamus can be thought of as the “boss” of the thyroid and the “master” gland of the body. By supporting the hypothalamus, we can support the health of many parts of the body. The Hypothalamus Support contains no stimulants and simultaneously supports the HPA Axis (hypothalamus, pituitary, and adrenal glands). Using the Ocean’s Gold and Hypothalamus Support together can be a great way to the see the best results possible. The recommended dose is ½ tsp per 100 lbs. 5 times a day for the first 5 days of starting this product as a “loading” dose to get the herbs into the system. If someone is under heavy stress, we can use 2-4 tsp. a day, and it can be taken throughout the day and right before bed as often as needed. Because these are adaptogenic herbs, it's difficult if not impossible to overdose. The body will take what it needs and will eliminate the extra. 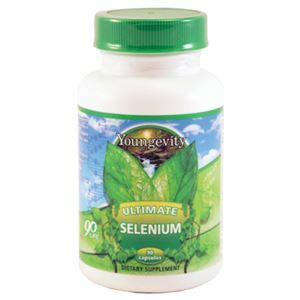 Selenium – Dr. Schrauzer tells us that the body requires selenium to be able to convert thyroid hormone T4 into its active T3 form. Sometimes increasing the selenium intake beyond what is already in the Healthy Heart and Brain Pack may be necessary for thyroid support.